faceless book: "I am invisible"
One can be forgiven for not noticing anything special in this photo of a piece of ground. 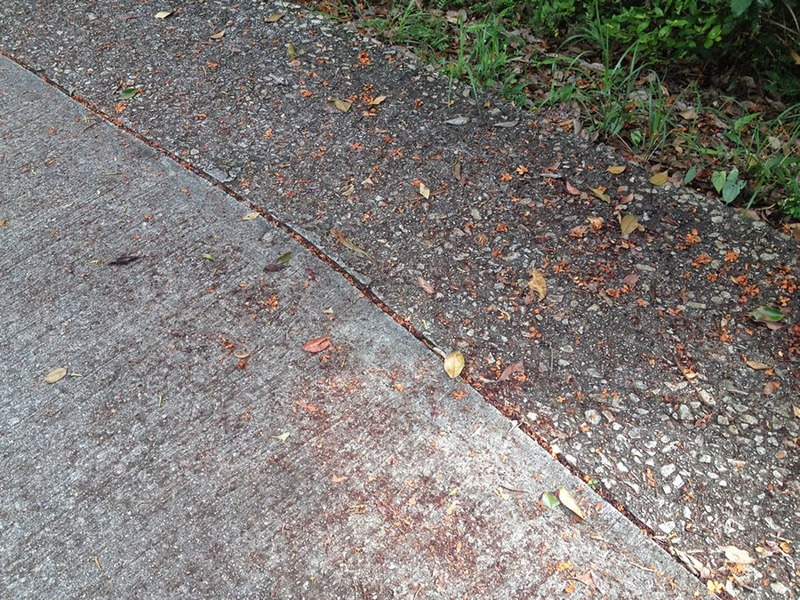 But if you look really carefully, you will see a lizard there. See the enlarged image below for confirmation. It was what I saw during my morning walk today. 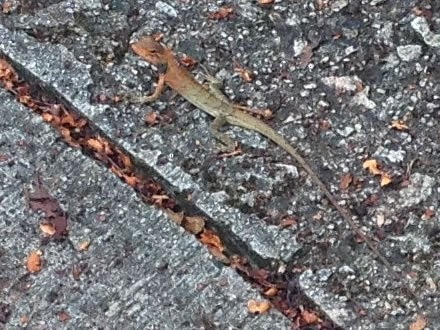 I was surprised that the whole time I was standing quite close to the lizard, it did not make any attempt to run off. Except slightly cocking its head a couple of times to dart a glance at me, it just lay very still there. Maybe it was satisfied with the job that the camouflage did, which, in fact, was a pretty good one.